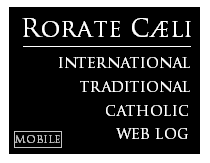 RORATE CÆLI: Does pure logic threaten to destroy the entire moral doctrine of the Catholic Church? Amoris Laetitia has no doubt created much uncertainty and evoked conflicting interpretations throughout the Catholic World. I do not wish to present this entire controversy here nor to repeat – or develop further – the position I have defended on this matter in previous articles (See Josef Seifert, “Amoris Laetitia. Joy, Sadness and Hopes”) I might still do this in a reply to some critical comments I have received from my personal friend Buttiglione, with whom I agree on almost all other philosophical matters, and others. There is a single affirmation in AL, however, that has nothing to do with a recognition of the rights of subjective conscience, by reference to which Rocco Buttiglione seeks to demonstrate the full harmony between the moral magisterium of Saint John Paul II and Pope Francis, against Robert Spaemann’s and other assertions of a clear break between them. Buttiglione argues that, regarding their contrary teaching on sacramental discipline, Pope John Paul II is correct if one considers only the objective content of human acts, while Pope Francis is right when one accords, after due discernment, to subjective factors and missing conditions of mortal sin (deficient knowledge and weakness of free will) their proper role and recognition. The assertion of AL I wish to investigate here, however, does not invoke subjective conscience at all, but claims a totally objective divine will for us to commit, in certain situations, acts that are intrinsically wrong, and have always been considered such by the Church. Since God can certainly not have a lack of ethical knowledge, an “erring conscience,” or a weakness of free will, this text does not “defend the rights of human subjectivity,” as Buttiglione claims, but appears to affirm clearly that these intrinsically disordered and objectively gravely sinful acts, as Buttiglione admits, can be permitted, or can even objectively be commanded, by God. If this is truly what AL affirms, all alarm over AL’s direct affirmations, regarding matters of changes of sacramental discipline (admitting, after due discernment, adulterers, active homosexuals, and other couples in similar situations to the sacraments of confession and eucharist, and, logically, also of baptism, confirmation, and matrimony, without their willingness to change their lives and to live in total sexual abstinence, which Pope John Paul II demanded in Familiaris Consortio from couples in such “irregular situations”), refer only to the peak of an iceberg, to the weak beginning of an avalanche, or to the first few buildings destroyed by a moral theological atomic bomb that threatens to tear down the whole moral edifice of the 10 commandments and of Catholic Moral Teaching. In the present paper, however, I will not claim that this is the case. On the contrary, I will leave it entirely to the Pope or to any reader to answer the question whether or not there is at least one affirmation in Amoris Laetitia that has the logical consequence of destroying the entire Catholic moral teaching. And I must admit that what I read about a commission convened in order to “re-examine” Humanae Vitae, an Encyclical that put, like later Veritatis Splendor, a definitive end to decades of ethical and moral theological debates, has made this title question of my essay a matter of extreme concern to me. Yet conscience can do more than recognize that a given situation does not correspond objectively to the overall demands of the Gospel. It can also recognize with sincerity and honesty what for now is the most generous response which can be given to God (Relatio Finalis 2015, 85) and come to see with a certain moral security that it is what God himself is asking amid the concrete complexity of one’s limits, while yet not fully the objective ideal (AL 303). In Gaudium et Spes, 51, from which the last quote is taken, the thought is taken as an invalid objection against the moral demand never to commit adultery or an act of contraception. In AL it is understood in the sense explained above, as a justification, even known to correspond to the objective will of God, to continue to commit objectively speaking grave sins. If only one case of an intrinsically immoral act can be permitted and even willed by God, must this not apply to all acts considered ‘intrinsically wrong’? If it is true that God can want an adulterous couple to live in adultery, should then not also the commandment ‘Do not commit adultery!’ be reformulated: ‘If in your situation adultery is not the lesser evil, do not commit it! If it is, continue living it!’? Must then not also the other 9 commandments, Humanae Vitae, Evangelium Vitae, and all past and present or future Church documents, dogmas, or councils that teach the existence of intrinsically wrong acts, fall? Is it then not any more intrinsically wrong to use contraceptives and is not Humanae Vitae in error that states unambigously that it can never happen that contraception in any situation is morally justified, let alone commanded by God? Must then not, to begin with, the new commission on Humanae Vitae Pope Francis instituted, conclude that using contraception can in some situations be good or even obligatory and willed by God? Can then not also abortions, as Mons. Fisichella, then President of the Pontifical Academy for Life, claimed, be justified in some cases and ‘be what God himself is asking amid the concrete complexity of one’s limits, while yet not fully the objective ideal’? Must then not from pure logic euthanasia, suicide, or assistance to it, lies, thefts, perjuries, negations or betrayals of Christ, like that of St. Peter, or murder, under some circumstances and after proper “discernment,” be good and praiseworthy because of the complexity of a concrete situation (or because of a lack of ethical knowledge or strength of will)? Can then not God also demand that a Sicilian, who feels obligated to extinguish the innocent family members of a family, whose head has murdered a member of his own family and whose brother would murder four families if he does not kill one, go ahead with his murder, because his act is, under his conditions “what God himself is asking amid the concrete complexity of one’s limits, while yet not fully the objective ideal”? Does not pure logic demand that we draw this consequence from this proposition of Pope Francis? However, if the title question of this paper must be answered in the affirmative, as I personally believe to be the case, the purely logical consequence of that one assertion of Amoris Laetitia seems to destroy the entire moral teaching of the Church. Should it not, therefore, be withdrawn and condemned by Pope Francis himself, who no doubt abhors such a consequence, which, if the title question needs to be answered affirmatively, iron and cool logic cannot fail to draw from the cited assertion of Pope Francis? Thus I wish to plead with our supreme spiritual Father on Earth, the “sweet Christ on earth,” as Saint Catherine of Siena called one of the Popes, under whose reign she lived, while she criticized him fiercely (if Pope Francis agrees with this logical conclusion, and answers the title question of this essay in the affirmative) to please retract the mentioned affirmation. If its logical consequences lead with iron stringency to nothing less than to a total destruction of the moral teachings of the Catholic Church, should the “sweet Christ on Earth” not retract an affirmation of his own? If the mentioned thesis leads with cogent logical consequence to the rejection of there being any acts that must be considered intrinsically morally wrong, under any circumstances and in all situations, and if this assertion will tear down, after Familiaris Consortio and Veritatis Splendor, likewise Humanae Vitae and many other solemn Church teachings, should it not be revoked? Are there not evidently such acts that are always intrinsically wrong, as there are other acts, which are always intrinsically good, justified, or willed by God? 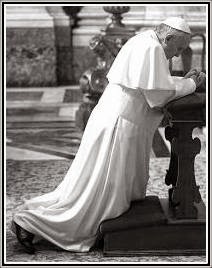 (See John Paul II, Veritatis Splendor. See also Josef Seifert, “The Splendor of Truth and Intrinsically Immoral Acts: A Philosophical Defense of the Rejection of Proportionalism and Consequentialism in ‘Veritatis Splendor’.” In: Studia Philosophiae Christianae UKSW 51 (2015) 2, 27-67. “The Splendor of Truth and Intrinsically Immoral Acts II: A Philosophical Defense of the Rjection of Proportionalism and Consequentialism in ‘Veritatis Splendor’.” In: Studia Philosophiae Christianae UKSW 51 (2015) 3, 7-37.) And should not every Cardinal and Bishop, every priest, monk or consecrated Virgin, and every layperson in the Church, take a most vivid interest in this and subscribe this passionate plea of a a humble layperson, a simple Professor of Philosophy and, among other subjects, of logic? Josef Seifert is the founding Rector of the The International Academy of Philosophy in the Principality of Liechtenstein, holder of the Dietrich von Hildebrand Chair for Realist Phenomenology at the IAP-IFES, Granada, Spain, and elected by Saint Pope John Paul II as ordinary (life-long) member of the Pontifical Academy for Life (a charge that ended with the dismissal of all PAV members by Pope Francis in 2016, and the failure to be re-elected as member of, a profoundly changed, PAV in 2017). 3.0 (CC BY 3.0). Publication date: 08.05.2017.